All employers in New York state are required to have sexual harassment training and policies, including complaint forms, in place by October 9.
Who Are the Potential Perpetrators of Vehicle Ramming Attacks? By Sarah K. White IT skills are in high demand, and that goes double for IT leadership experience. With high demand come higher salaries—take a look at some of the highest-paying IT leadership roles to see the range of salary you might expect based on recent research. 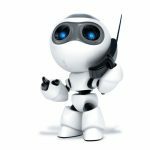 Are you tired of talking to machines every time you call customer service (or, on the flip side, fielding complaints at the help desk about your automated system)? Well, there’s a chance that voice is human after all—but, as one IT worker found out, it’s not a good idea to sound like a machine.